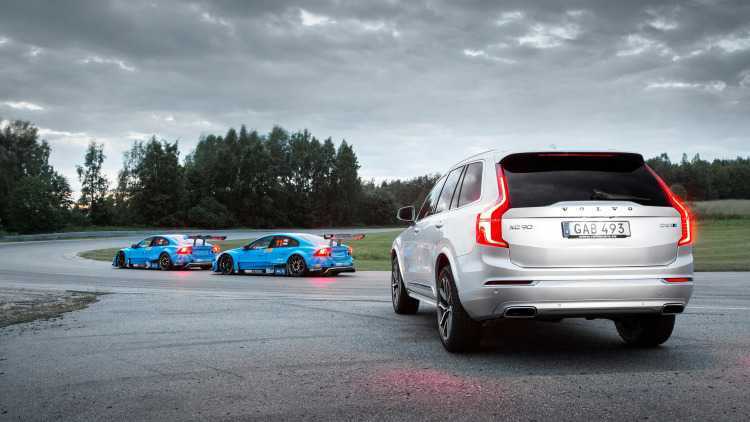 Powered by the new T8 hybrid engine, the new version of the Volvo XC90 Polestar is now capable of rendering an amazing performance with 415 horsepower combined with 680 Nm of Torque. Polestar has invested hundreds of man hours into the project to bring the best performance out of the existing powertrain in the Volvo XC90. They have witnessed significant success in the project. With the improved version of the engine, throttle response is much better and gearshift is accurate, quick besides being highly precise. All these when combined with the extra power leads to a brand new driving experience on road. Latest statistics reveal that the T8 engine can accelerate from 0 to 62 miles per hour in just 5.5 seconds. The standard model achieved the same with a minor difference of 0.7 seconds. While the acceleration capability is subtle, it does give the much needed oomph factor to the car without compromising on fuel efficiency. In most scenarios, when the powertrain is tweaked, it reduces overall performance and mileage. Polestar has managed to accomplish better output from the Volvo XC90 without such compromises. Despite all the changes, the chassis of the Volvo XC90 is identical without any upgrades. There’s a new gear hold function introduced by the people at Polestar. It allows the driver to hold it in a selected gear automatically when cornering and also helps the car be in a settled position when moving at a rapid pace. “We have always focused on creating the best optimization package for Volvo cars. The new upgrade for the XC90 is a most wanted package for the model and is designed to offer the smoothest driving experience for its passengers. It makes many features readily accessible and also to bring new performance improvements to the variant,” commented Niels Moller who is the Chief Operating Officer at Polestar. Volvo’s Vice President Michael Fleiss shared his view on the package developed by Polestar. He speculated that the XC90 are set to receive the package for its D5 diesel powertrain variant and the T6 petrol models. The T6 petrol engine variant of the Volvo XC90 has the capability to deliver a total of 316 horsepower and the D5 diesel engine is closely behind with a decent 222 horsepower. These numbers are set before Polestar rolls out its performance package to the respective models and are expected to witness significant improvement once the upgraded are added to them.